An anti-bullying program helps high school students find their voices. 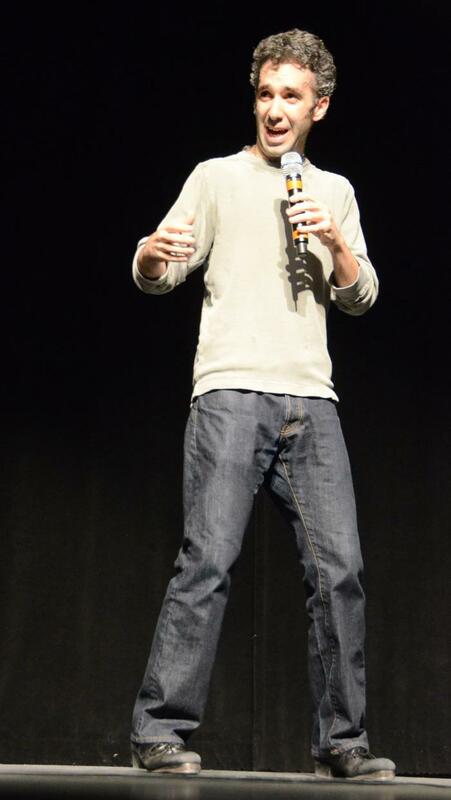 Andrew Nemr’s tap show for schools addresses bullying. Standing at a microphone, a young woman relives a scene that tormented her throughout her school life: classmates mocking her Long Island accent. In another moment, a young man revisits his childhood battle with a misdiagnosis of Tourette syndrome, and a third performer shares his struggle to navigate violence in high school. As each scene unfolds, the stories evolve into rhythmic tap journeys; the dance becomes a catharsis for the narrators, developing slowly during dialogue breaks, building in speed and intensity. Come Together, a performance created by hoofer Andrew J. Nemr for his NYC-based tap company Cats Paying Dues (CPD PLUS), could not have developed at a more appropriate time. Bullying awareness and prevention endeavors in K–12 are a hot topic, and in late 2010, New Jersey passed an “Anti-Bullying Bill of Rights Act.” Also known as “HIB” (Harassment Intimidation Bullying), it requires schools to participate in bullying awareness at all levels, from student to teacher to bus driver. And while many programs may address bullying and conflict resolution through improvisation or modern dance, Nemr is convinced that tap is particularly effective. 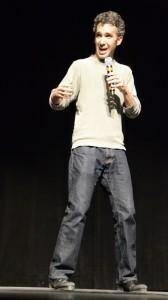 A student of Gregory Hines and a founding member of Savion Glover’s company TiDii, Nemr formed his own company in 2005. His choreography has long focused on storytelling, and while working on a piece about addiction in 2011, he got the idea for a show that speaks to teens. Nemr contacted his former creative arts teacher Michael Polizzi, who is the superintendent of schools in New Milford, New Jersey, to pitch the idea. Polizzi latched on and put Nemr in contact with the school’s HIB coordinator. She filled Nemr in on the top issues the students face, such as internet bullying and the challenge of pursuing an artform other students don’t appreciate. Nemr featured the true stories of his cast members, but speaking with the coordinator helped make the stories relevant to current students. Polizzi also encouraged Nemr to bracket each dance number with generous amounts of text. 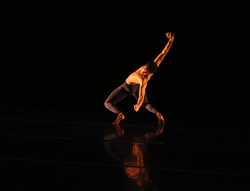 “Students have to be able to make connections between the dance and the narratives so that the message doesn’t get swallowed by the dance,” Polizzi says. Since the initial presentation, Nemr’s group has performed at another NJ high school and a New York elementary school. A final 15-minute Q&A session that’s directed by the students is a particularly strong element of each show. “They poke at us quite a bit, trying to dig deeper into the situation surrounding the story,” Nemr says. These sessions are perhaps most instructive for teachers and counselors present at the performance, who can see student reactions to the stories. Ashley Rivers is a Calderwood Fellow in writing at Emerson College.